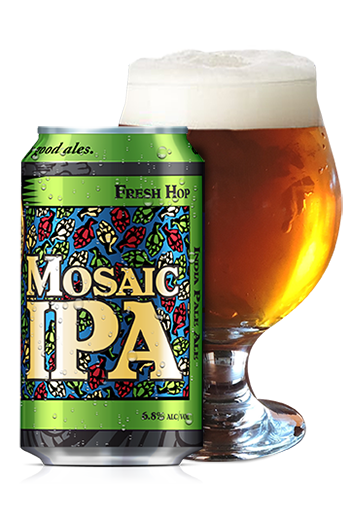 Mosaic Fresh Hop IPA is brewed with farm fresh Mosaic hops, picked fresh off the vine in the Pacific Northwest. As soon as they’re harvested, our hops are immediately shipped to Two Harbors and brewing begins. Fresh-hopped beers use hops in their purest form; never processed, never dried. This retains the delicate aromas and flavors specific to each hop variety. Mosaic hops deliver juicy, fruity, tropical notes which balance this IPA out nicely. Enjoy this true seasonal beer just weeks after the fall hop harvest.